Autographed copies of “American Gift Knitting,” available worldwide. Free US shipping. 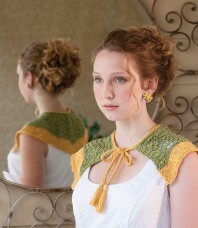 Celebrate the beauty of the American South interpreted in knitting and crochet. 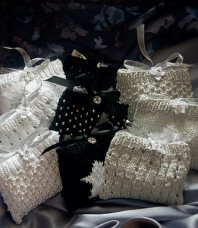 For international buyers, visit americangiftknitting.com. For PC, MAC, and most e-readers. 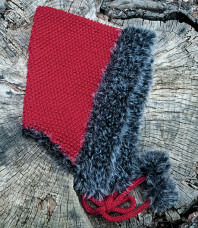 “American Gift Knitting” is a collection of 20 small projects perfect for gift giving. Includes travelogues and 5 of Beth’s favorite regional recipes. Cover price $36.90. Bundle price $27.95. Free U.S. shipping. American Sock Knitting features thirteen designs inspired by the beauty of the U.S.A. Includes five regional recipes and travelogues. 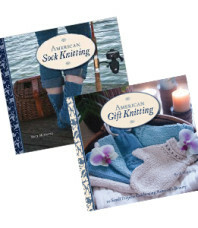 American Gift Knitting features 20 small projects perfect for gifting, five regional recipes and travelogues. NEW YEAR’S SALE! Save 60% off cover price! Single copy price: $16.95. Free U.S. shipping. 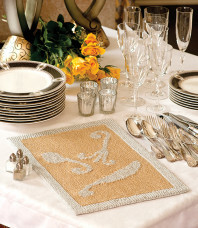 Thirteen designs inspired by the beauty of the U.S.A. Includes five regional recipes and travelogues. 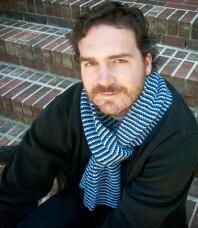 International buyers please visit AmericanSock Knitting.com. NEW YEAR’S SALE! 50% OFF AND FREE US SHIPPING! SAVE EVEN MORE ON BUNDLES! For PC, MAC, and most e-readers. 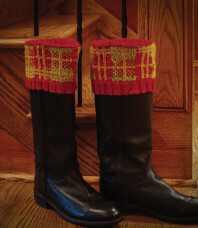 “American Sock Knitting” is a collection of 13 sock patterns inspired by the designers’ favorite places. Includes travelogues and 5 of Beth’s favorite regional recipes. Autographed copies of “Deep South Knitting,” available worldwide. Free US shipping. 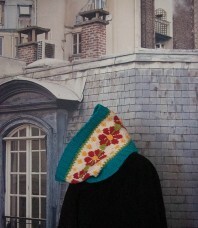 Celebrate the beauty of the American South interpreted in knitting and crochet. 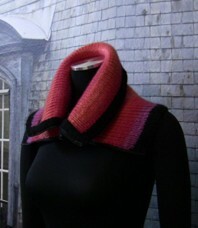 For international buyers, visit DeepSouthKnitting.com. For PC, MAC, and most e-readers. 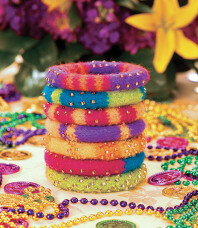 “Deep South Knitting” is a knitting and cooking tour of the American South. 25 projects inspired by the South, and a dozen of Beth’s Southern recipes. For iPad, a fully interactive iBook. 25 projects inspired by the beauty and history of the American South, and a dozen of Beth”s Southern recipes. Bonus materials included. Cover price $43.90. Bundle price $33.95. Free U.S. shipping. 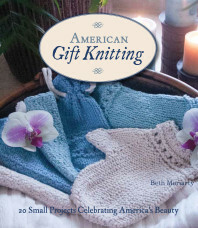 American Gift Knitting features 20 small projects perfect for gift knitting, travelogues and five of Beth’s favorite regional recipes. 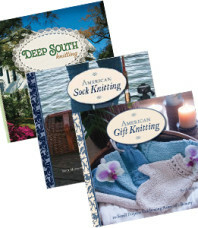 Deep South Knitting features 25 projects inspired the Deep South, travelogues and a dozen regional recipes. NEW YEAR’S SALE! SAVE 62%! COVER PRICE $43.90, NOW $16.90 INCLUDING FREE U.S. SHIPPING! NEW YEAR’S SALE! Save 62% off cover price! 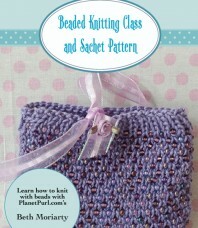 Learn to add beads to your knitting with this interactive class. 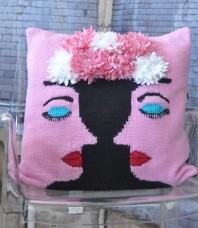 Includes the Fleur de Lys Sachet pattern from the “Cary Grant Slept Here” Collection. 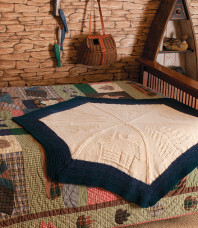 A celebration of the Blue Ridge Mountains that will keep you cozy on chilly nights. 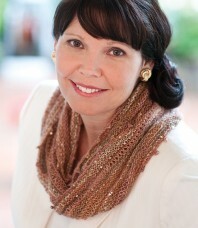 Includes Virginia travel tips and Chocolate Toffee Pecan Pie (yum!) recipe. 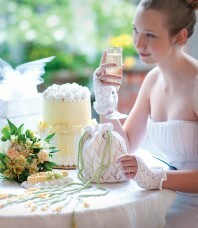 A perfect bit of Southern femininity. 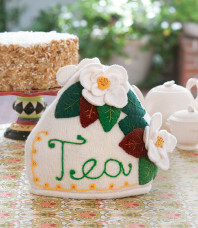 Knitted, felted and embellished with appliqués and embroidery. Includes Mississippi travel tips and the best Red Velvet Cake recipe. Inspired by a 1937 evening gown from Elsa Schiaparelli. 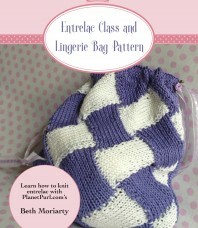 Learn to knit entrelac with this interactive class. 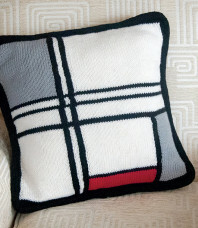 Includes the Entrelac Lingerie Bag pattern from the “Cary Grant Slept Here” Collection, inspired by the films of the 30’s and 40’s. Inspired the lavish homes of Robber Barons in the North Carolina mountains. Includes North Carolina travel tips and recipe for Creamy Sweet Potato Pie. 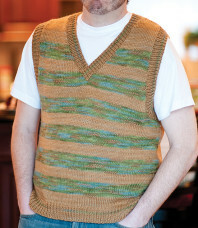 Learn to knit intarsia (picture knitting)with this interactive class. 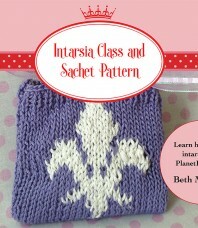 Includes the Fleur de Lys Sachet pattern from the “Cary Grant Slept Here” Collection. 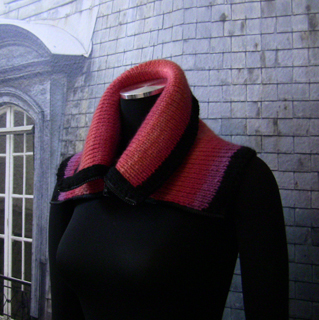 Learn to the basics of lace knitting with this interactive class. 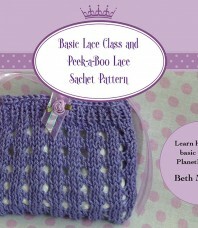 Includes the Peek-a-Boo Lace Sachet pattern from the “Cary Grant Slept Here” Collection. Inspired by the one of Chicago’s Art Institutes most famous paintings. Travel to the City of Lights with the “Paris Je t’Aime” Technology Set. 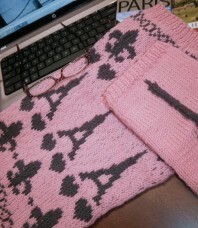 Pattern includes multiple sizes of laptop and e-reader sleeves as well as a coffee cozy. Cover price $63.85 Bundle price $42.95 Free U.S. shipping. 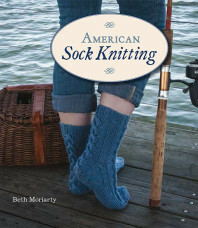 American Sock Knitting features thirteen designs inspired by the beauty of the U.S.A. and five regional recipes. 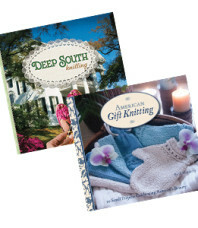 Deep South Knitting features 25 projects inspired the Deep South, a dozen regional recipes. 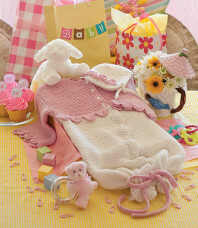 American Gift Knitting features 20 small projects perfect for gift knitting and 5 regional recipes. NEW YEAR’S SALE! SAVE 66%! COVER PRICE $63.85, NOW $21.45 INCLUDING FREE U.S. SHIPPING! 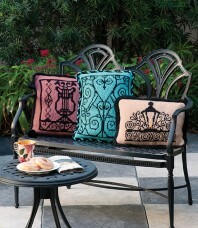 Pattern includes three pillows inspired by the famous wrought iron gates of Charleston. South Carolina travel tips and recipe for Bourbon & Brown Sugar Pralines included.